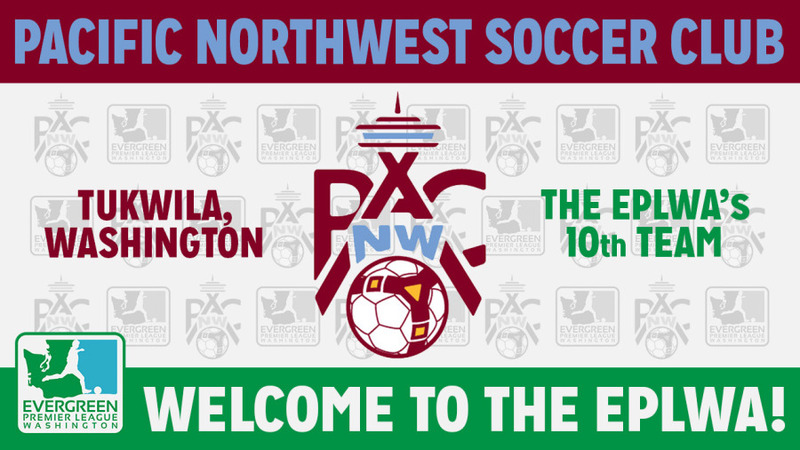 BELLINGHAM, Wash. – The Evergreen Premier League is excited to announce that Pacific Northwest Soccer Club has been admitted to the league as the 10th member of the EPLWA. The Tukwila, Washington based club will begin play for the 2019 season and will be based out of Starfire Sports. The team will train at Starfire but a home venue for games is still to be determined. PacNW was formed in 2012 when Greater Renton FC and Dos FC merged and now serves over 1,100 youth players competing in the U.S Soccer Development Academy, the Elite Clubs National League, and Washington Youth Soccer’s Regional Club League.